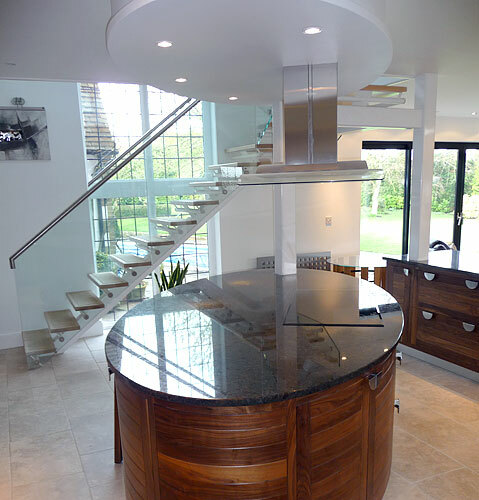 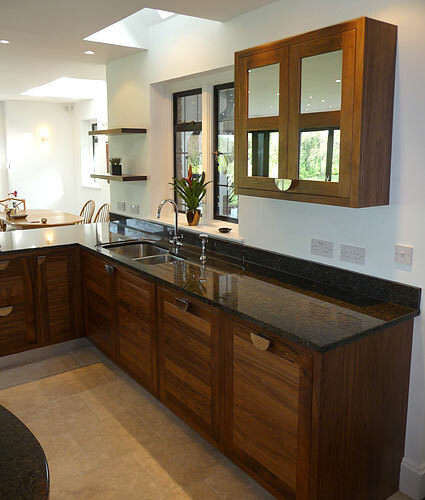 The hand-crafted kitchen, made from solid and veneered walnut with granite work tops, sits alongside an open plan lounge area and needed to incorporate support pillars for the open staircase. 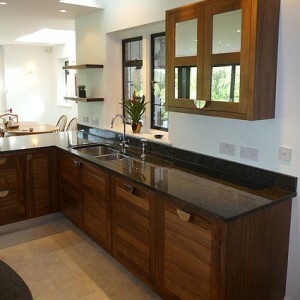 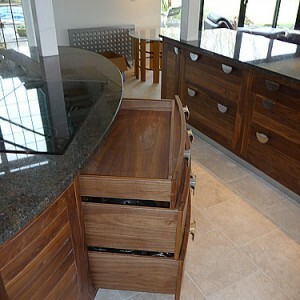 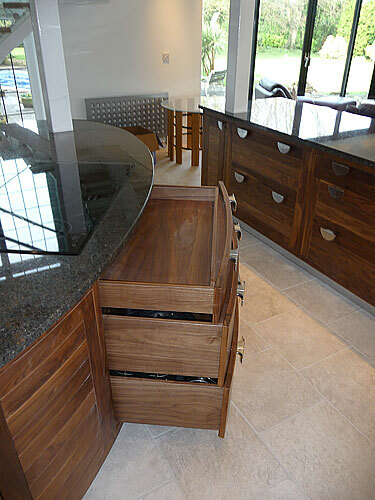 Initial concept designs were provided by James, then working closely with him and the client we further developed them. 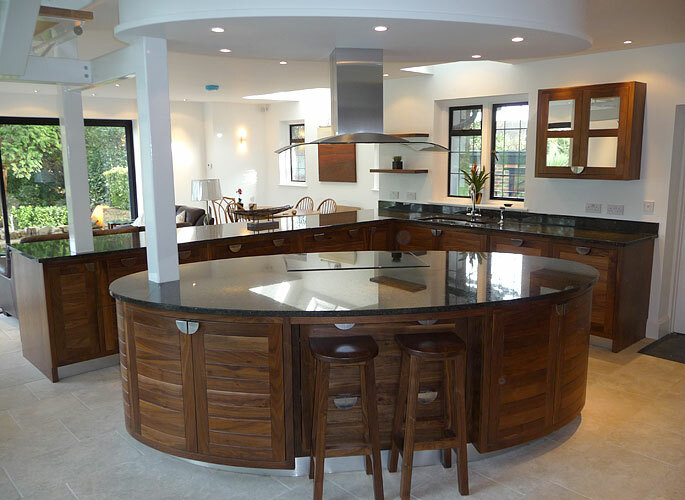 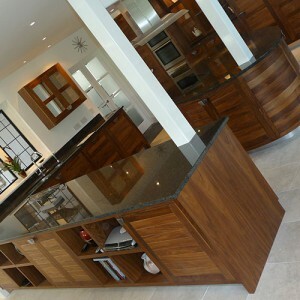 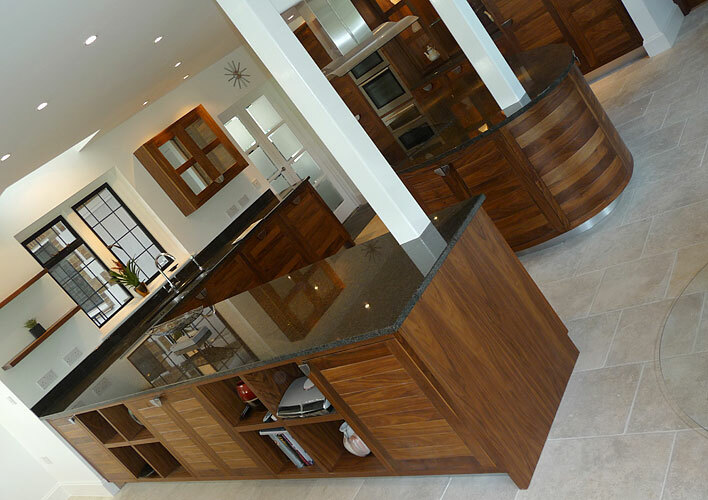 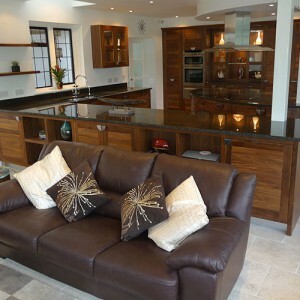 The final design includes key features such as; an oval island unit that creates both a focal point to the kitchen as well as a visually pleasing architectural solution to the staircase pillars; a lowered oval ceiling that makes a feature of the hob extraction, whilst drawing it lower for efficient use; and shelving and storage to the rear of the lounge facing kitchen units to provide built in furniture in the living space. 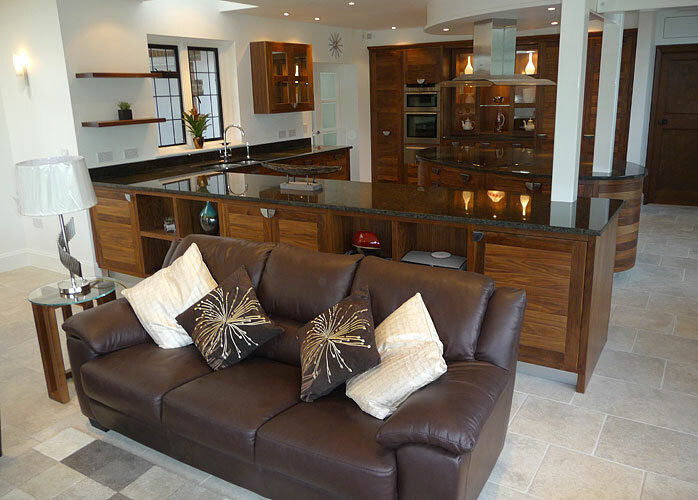 The client’s were so pleased with the quality and service provided throughout the creation of their bespoke kitchen they immediately commissioned us to design and hand craft glass/walnut coffee and side tables for the lounge, followed by a custom built maple study. 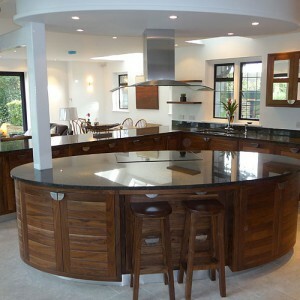 Invite us to provide a free estimate on your next project contact us now.